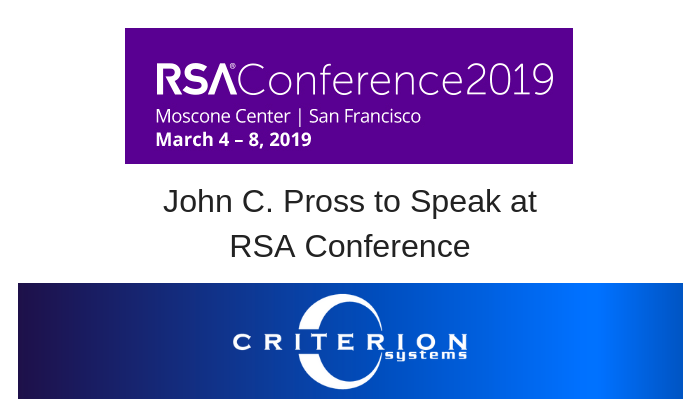 John Pross, Criterion Vice President and Senior Program Manager, will have the opportunity to offer his insights as part of this year’s RSA Conference Public Sector Day on Monday, March 4. Pross will be part of a panel entitled “Managing and Quantifying Cyber Risk Across the Enterprise.” The panel will look at the challenges to quantifying cyber risk—which is foundational to managing cyber risk—as well as methodologies and best practices used. In addition, panel members will discuss how organizations leverage cyber risk quantification to prioritize risk mitigation efforts.